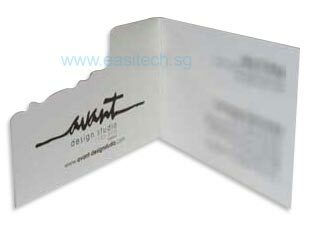 Easitech Pte Ltd is one of the few business card printing specialist in Singapore. 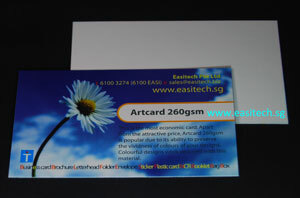 With the latest IT technology, Easitech is glad to offer $3.20 for 100pcs name card, this is the cheapest printing in Singapore. Our premium business card printing is all using full color offset printing which is higher resolution and commonly use for printing magazine and catalogue in huge quantity. 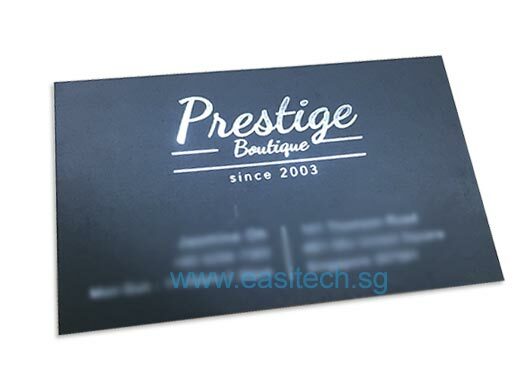 Easitech also provides many different types of business card printing with additional finishing such as blind embossed, hot stamp, spot UV and round corner. 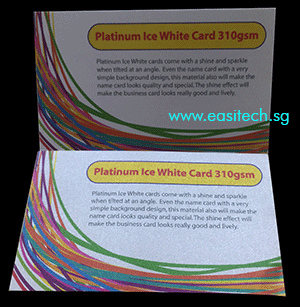 Besides, Easitech also has some very unique business card material such as transparent plastic card, thick 310gsm artcard with matt lamination to ensure your business card stand out among the rest. Note, Name card printing which is using offset printing process require longer processing time, please consider 2 Days Business Card for urgent order. This is the most economic card. Apart from the attractive price, Artcard 260gsm is popular for name card printing due to its ability to preserve the vividness of colours of your designs. Colourful designs work very well with this material. 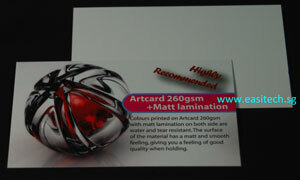 Colours printed on Artcard 260gsm with matt lamination on double side are water and tear resistance. 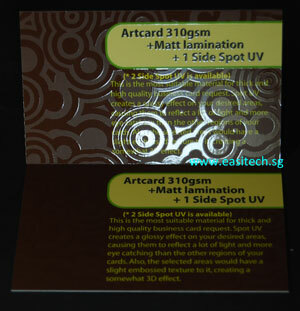 The surface of the material has a matt and smooth feeling, giving you a feeling of good quality namecard when holding. 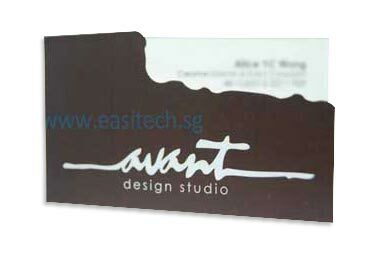 This is our most popular material for namecard printing. 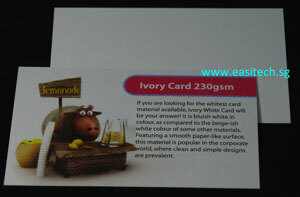 If you are looking for the whitest card material available, Ivory White Card will be your answer! It is bluish white in colour, as compared to the beige-ish white colour of some other materials. 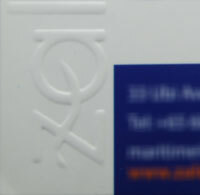 Featuring a smooth paper-like surface, this material is popular in the corporate world, where clean and simple designs of namecard are prevalent. 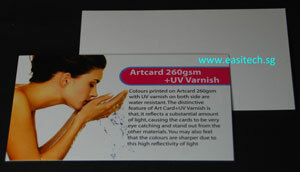 Colours printed on Artcard 260gsm with gloss lamination on both side are water resistant. The distinctive feature of Art Card+ gloss lamination is that, it reflects a substantial amount of light, causing the cards to be very eye catching and stand out from the other materials. You may also feel that the colours are sharper due to this high reflectivity of light. 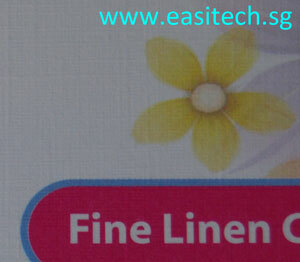 Fine Linen cards come with distinctive vertical and horizontal lines texture. 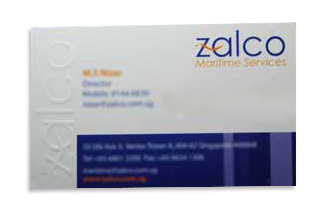 It is one of the most popular materials for corporate professionals to use for namecard printing. 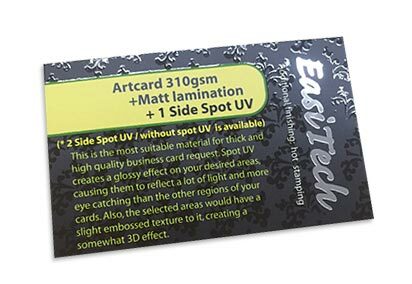 Spot UV creates a glossy effect on your desired areas, causing them to reflect a lot of light and more eye catching than the other regions of your cards. Also, the selected areas would have a slight embossed texture to it, creating a somewhat 3D effect. This is the most suitable material for thick and high quality business card request. 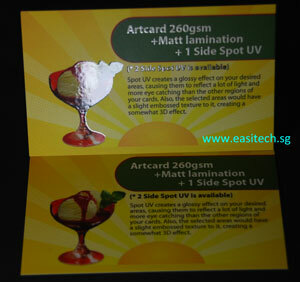 Spot UV creates a glossy effect on your desired areas, causing them to reflect a lot of light and more eye-catching than the other regions of your cards. Also, the selected areas would have a slight embossed texture to it, creating a somewhat 3D effect. 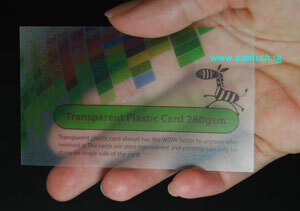 Transparent plastic card always has the WOW factor to anyone who received the namecard. The cards are semi-transparent and printing can only be done on single side of the card. 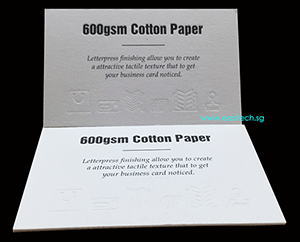 Cotton paper is a thick paper material with rough texture. The material is suitable for a simplicity and natural name card design. Recommend add on the letterpress finishing to make the card feel more special and personalized. Click here to download name card size and template in adobe illustrator format. Please follow the design guides below to ensure your business card printing will have high quality result. 2.Bleeds are required in all artwork with an image extending to one of the borders. Add 1mm on each sides to allow for cutting (example bleed size for standard sizeis 92mmX56mm). Refer to diagram above. 3. Your texts and designs should be 3mm away from actual size edge(Safety zone). This will guarantee your texts or designs will not be cut off. If you do not want your wordings or images to be very close to the edge after cutting, it is recommended to set at least 5mm away from actual size. 1. Use CMYK color setting and the combination of CMYK should not exceed 250 and individual color should not be less than 10 (ie, Value in C+M+Y+K<250, and C or M or Y or K >10).Learn more. b) Blind Emboss: Protruding front from behind. Cannot emboss the fonts size smaller than 6 pt size. c) Hot Stamp: Glossy colour. 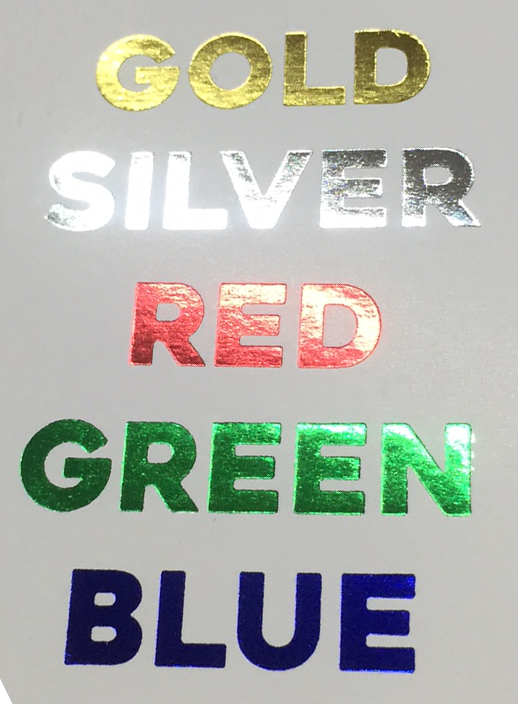 Only provide Gold, Silver, Green, Blue, Red, Black. Make your printed look shine and metallic feel.